Google+ is making some serious use of its beta field testing stage and has already rolled out a couple of new features regarding contacts and privacy. Users will soon have the ability to use an address book uploader that will keep your Google Contacts separated from your imported contacts, as well as the option to keep your gender private and be described in Google+ posts with gender neutral language. And that’s not the end of it. 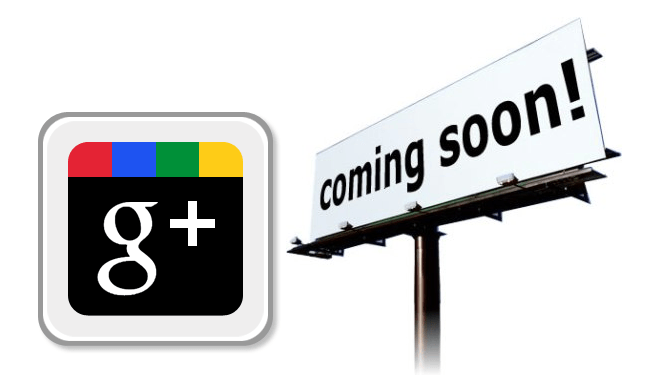 Google+ is bright, shiny, and new – and extremely willing to improve itself and work out any early kinks. Some revealed code showed us a handful of Google+ products that might be in the future, but here are a few other applications and features we expect to see. One of the resounding praises being heaped on Google+ is how clean and minimalistic its UI is, but don’t get too used to it. Facebook’s margins used to be pure white as well, but then it decided to make money and the ads – the targeted ads that sparked some user outrage – came. Expect the same from Google+, especially seeing as Google is in a remarkable position to pinhole you. At the moment, iPhone users are stuck with the Google+ mobile site, and it just doesn’t cut it. Now, this isn’t on Google’s end: Apple hasn’t approved the Google+ yet for the iOS App Store, so send your frustrations that way. The most obnoxious hurdle we experienced was the lack of mobile photo uploading, which has become a huge part of News Feed posts on Facebook. The app was submitted to Apple on July 4…so what’s the holdup? Most likely, Apple feels Google+ might infringe on some of its own included services, and is taking issue with that. More likely, Apple’s just dragging its feet because it can, and Google+ will be coming to an iPhone near you sooner or later. Fingers crossed. Google Offers is still in its infancy and being tested out in Portland, New York, and San Francisco. Even so, we can imagine businesses that will make use of the Google+ profiles will want to take advantage of broadcasting their daily deals to not only Gmail users but Google+ users as well. Google announced it will soon be tied in, and we bet that including a business in one of your circles means you’d see their respective offers in your stream. Yet another Google product still in beta that we can imagine making its way to Google+. Google Music debuted about a month ago, entering into the cloud-based music service hype. That hype has not died down, and given the fact that Facebook is set to launch its own integrated music service from Spotify, we imagine Google must at least be considering following suit. At the moment, Facebook’s Spotify partnership gives it a pretty large leg up on a Google+Music application. This is a biggie: Google knows that users have very strong feelings about Gmail, and that’s why the integration is going to be built on consumers’ ideas. Google recently began rolling out some Gmail updates, which focus on adding organization to your inbox. There will also be a Google+-themed redesign. But that’s not all, and Gmail engineering manager Mark Striebeck recently said the team is “working on several Gmail/Google+ integrations.” It sounds like there are many possibilities for how this could function, but most revolve around drawing social elements from Google+ into your Gmail account. But it doesn’t end there, and the topic has been blown open so widely that Striebeck is open to suggestions. Check out this survey he made to collect users’ input.